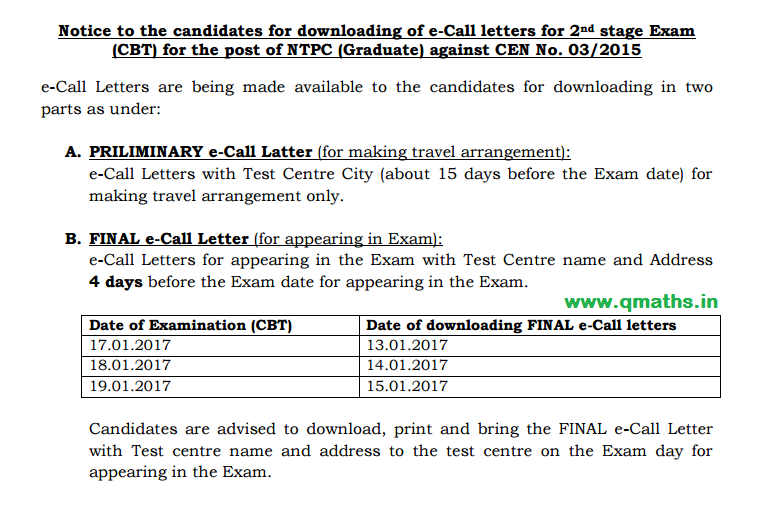 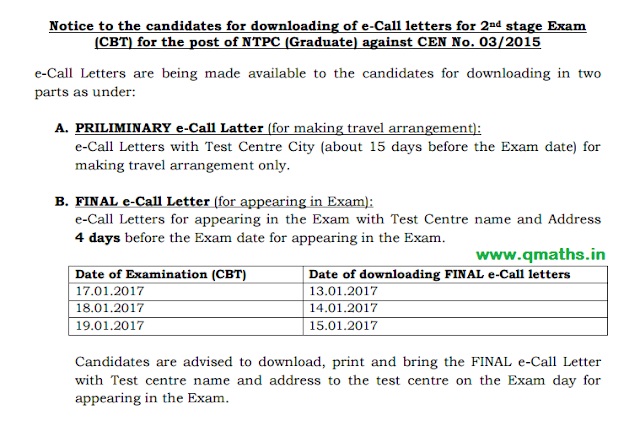 RRB (Railways) has released the Preliminary Admit Card for RRB NTPC 2016 Stage 2 Computer based exam. 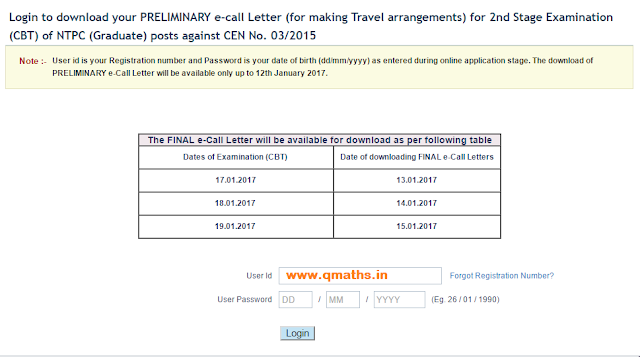 Note :- User id is your Registration number and Password is your date of birth (dd/mm/yyyy) as entered during online application stage. The download of PRELIMINARY e-Call Letter will be available only up to 12th January 2017.